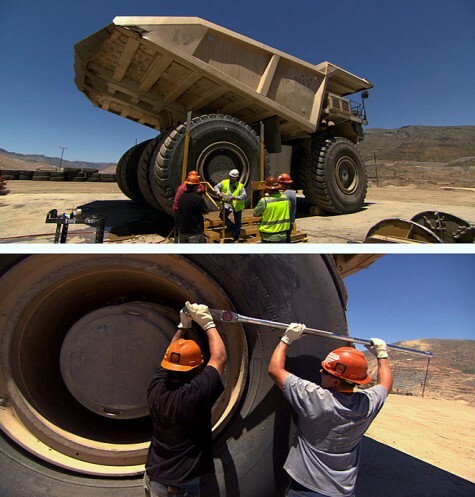 If "Super Size It" is a phrase you use on a regular basis, you might want to either consider changing your diet-or take a trip out to ASARCO's (American Smelting and Refining Corporation) Ray Mine complex near Hayden, Arizona. Big truck enthusiasts will find proof to the old adage there is always someone else with a bigger truck. Everything is big at the mine, including numbers of contractors on site each day - so Firehouse is producing contractor safety programs for the company. We’re shooting at the Hayden, Silverbell, and Mission mines in Southern Arizona, and the Amarillo operation in Texas. To streamline the training process, ASARCO is adding viewing rooms to each property's main gate, where contractors will be required to view a specific program and then demonstrate their comprehension before going on the site. There are a few important safety rules to remember, perhaps the most important being all traffic in the mine is left-hand traffic. Since the 350 ton trucks are observing this rule, you'd better get with the program or you - and what you thought was your big truck - will wind up, well, you get the idea.